"Every patient is unique and so have different expectations. My ethos centres around a personalised approach with an individual treatment plan. I strive to give you the most up to date information, so you can make an informed decision about your care." 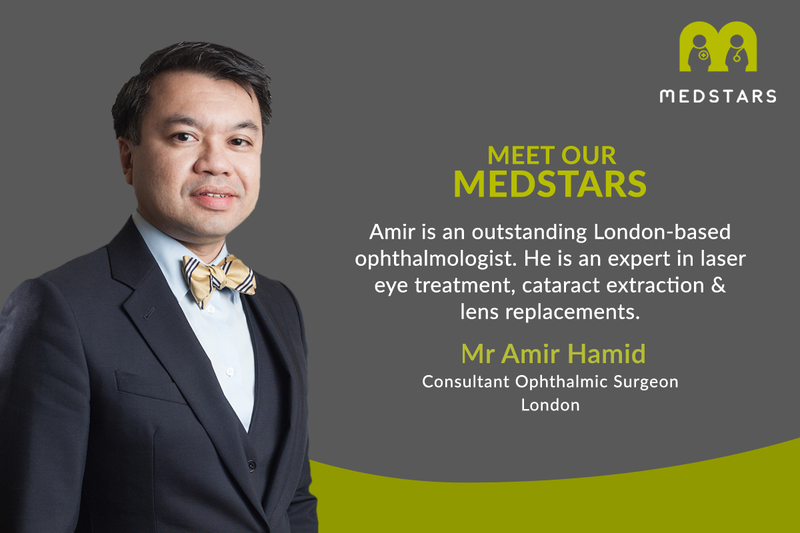 Amir is an outstanding London-based ophthalmologist with his interest focusing on the correction of presbyopia fixing the eyesight as we age without the need for glasses. He is an expert in laser eye treatment, cataract extraction & lens replacements. "Amir is a charming man"
"Amir is a charming man who puts you at ease and talks to you in detail about the procedure. I have already recommended A..."
I finished my medical training in 1999 from the University of Nottingham. I went on to do my foundation training and later developed an interest in Ophthalmology. I completed my training in Ophthalmology in 2010 and was appointed Consultant Ophthalmic Surgeon at King George Hospital. This is where I developed my interests in correction of presbyopia (Long-sightedness), cataract surgery and corneal transplantation. I decided to enhance my knowledge and skills in these areas and so completed the certification in laser refractive surgery by the Royal College of Ophthalmologists (CertLRS) in 2012. I am now a highly experienced refractive surgeon and performed over 6000 cataract and laser refractive surgeries and routinely perform up to 60 operations per week. I have exceptional skills in the use of LASIK and LASEK laser eye treatments as well as expertise in the insertion of the most advanced Multifocal intraocular lenses. I am also certified in the use of the Artisan Iris Clip lens and the Staar Visian ICL, in order to serve my patients that may be unsuitable for laser treatment. I am a highly acclaimed clinical investigator, always at the forefront of new refractive treatments and technologies. I regularly present my published scientific articles and papers at the Cataract and Surgery Conferences in the UK, Europe and US. 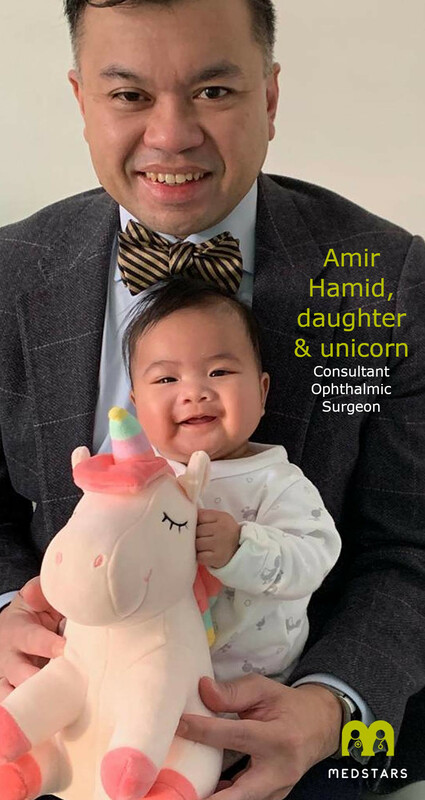 I am continuously building on my experiences and developing my skills due to the ever changing world of Ophthalmology. I believe this is vital for me to provide my patients with the best care to meet their expectations. My consultations are always patient focused. This involves a full understanding of your requirements and a thorough examination aided by the latest diagnostic equipment. Your personalised treatment plan will be formulated with your full involvement with the opportunity to ask questions at every stage of the process.